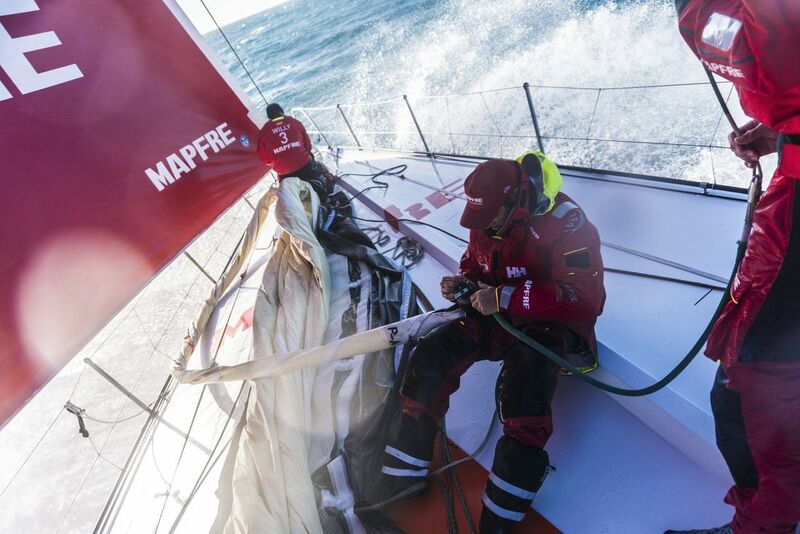 Xabi Fernández, the second-time skipper of Mapfre, remembers well the worst moment of the 2014-15 edition of the Volvo Ocean Race. It was in Cape Town, at the conclusion of Leg 1, and in the preceding hours they’d been passed by Team SCA. As they berthed in the basin, the sting of finishing last was especially sharp. That first-leg disappointment, he says, was a byproduct of starting the team less than four months before the race start. Between getting a crew and understanding the new Volvo Ocean 65, they were behind from the beginning. But not this time. Fernández is far more confident given they’ve been active since early in the year, have several returning crew members, top sailors from previous teams, and an all-star navigator in Juan Vila, who won long ago with illbruck. From that strong finish, he says, they now have a proper starting point, and by bringing aboard top sailors from other teams, including watch captain Pablo Arrarte from Team Brunel, and performance analyst Neal McDonald, they are much further ahead than any of the other teams. They’re sufficiently funded, and have been testing and training with a full new-sail inventory, using their time to fine-tune the boat. Fernández’s primary motivation is to win the race, and this time, he’s looking forward to sailing with a mix of sailors, including the two designated females — Team SCA’s Sophie Ciszek and Olympian Támara Echegoyen — as well as 49er gold medalist and America’s Cup-winning foil trimmer Blair Tuke. Convincing Vila to join is a coup that will shore up the navigational shortcomings of the previous race.